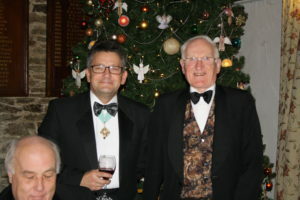 Once again Abbey Lodge celebrated the coming of Christmas with the 57th Postlethwaite Dinner on 12 December 2017. Held at the Whalley Golf Club which once again excelled in the quality and extent of their Christmas decorations. 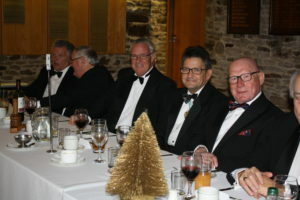 This Dinner was notable for it coincided with W. Bro Bill Cockcroft’s 91st birthday. He is seen stood alongside the Worshipful Master on the occasion.